The people of Han China reeled under a crushing tax load, famine, and floods, while at court, a group of corrupt eunuchs wielded power over the decadent and hapless Emperor Ling. China's government demanded ever more taxes from the peasantry to fund fortifications along the Silk Road, and also to build sections of the Great Wall of China in order to fend off nomads from the Central Asian steppes. As natural and barbarian disasters plagued the land, the followers of a Taoist sect led by Zhang Jue decided that the Han Dynasty had lost the Mandate of Heaven. The only cure for China's ills was a rebellion and the establishment of a new imperial dynasty. The rebels wore yellow scarves wrapped around their heads - and the Yellow Turban Rebellion was born. Zhang Jue was a healer and some said a magician. He spread his messianic religious ideas through his patients; many of them were poor farmers who received free treatments from the charismatic doctor. Zhang used magical amulets, chanting, and other practices derived from Taoism in his cures. He preached that in the year 184 CE, a new historical era would begin known as the Great Peace. By the time the rebellion broke out in 184, Zhang Jue's sect had 360,000 armed followers, mostly from the peasantry but also including some local officials and scholars. Before Zhang could set his plan into motion, however, one of his disciples went to the Han capital at Luoyang and revealed the plot to overthrow the government. Everyone in the city identified as a Yellow Turban sympathizer was executed, more than 1,000 of Zhang's followers, and court officials marched out to arrest Zhang Jue and his two brothers. Hearing the news, Zhang ordered his followers to start the uprising immediately. Yellow Turban factions in eight different provinces rose up and attacked government offices and garrisons. Government officials ran for their lives; the rebels destroyed towns and seized armories. The imperial army was too small and incompetent to deal with the wide-spread threat posed by the Yellow Turban Rebellion, so local warlords in the provinces built their own armies to put down the rebels. At some point during the ninth month of the year 184, Zhang Jue died while leading the defenders of the besieged city of Guangzhong. He likely died of disease; his two younger brothers died in battle with the imperial army later that year. Despite the early deaths of their top leaders, smaller groups of the Yellow Turbans continued to fight for another twenty years, whether motivated by religious fervor or simple banditry. The most important consequence of this on-going popular rebellion was that it exposed the weakness of the central government and led to the growth of warlordism in different provinces around China. The rise of warlords would contribute to the coming civil war, the dissolution of the Han Empire, and the beginning of the Three Kingdoms period. 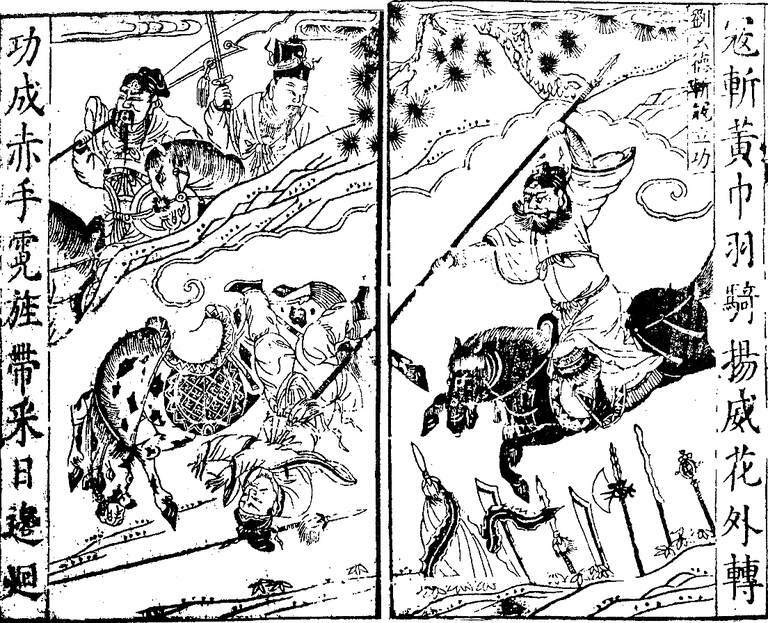 In fact, General Cao Cao, who went on to found the Wei Dynasty, and Sun Jian, whose military success paved the way for his son to found the Wu Dynasty, both gained their first military experience fighting against the Yellow Turbans. In a sense, then the Yellow Turban Rebellion spawned two of the three kingdoms. The Yellow Turbans also allied themselves with another group of major players in the downfall of the Han Dynasty - the Xiongnu. Finally, the Yellow Turban rebels have served as role models for Chinese anti-government movements through the ages, including the Boxer Rebels of 1899-1900 and the modern-day Falun Gong movement.